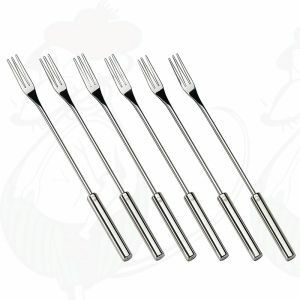 Are you looking for fondue forks. 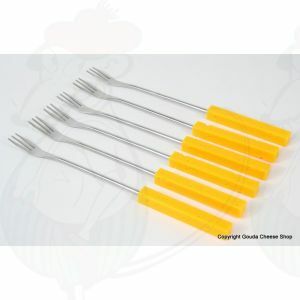 Below is a wide assortment of fondue forks. 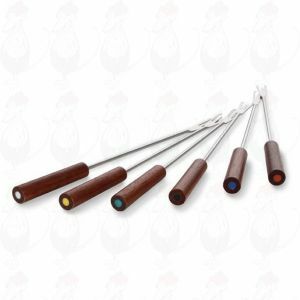 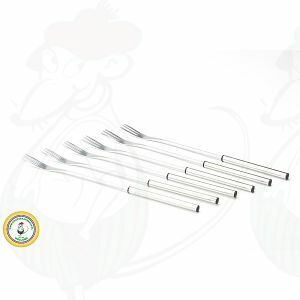 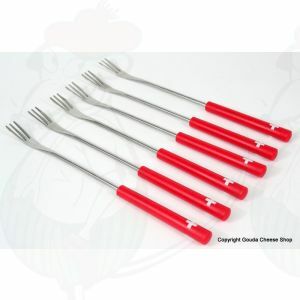 The fondue forks are universal and can be used for the cheese fondue as well for meat fondue. Sturdy cheese fondue forks with yellow plastic handles. 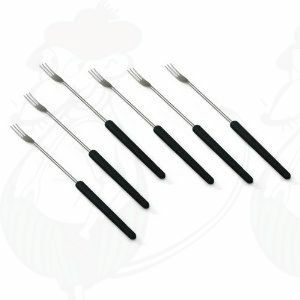 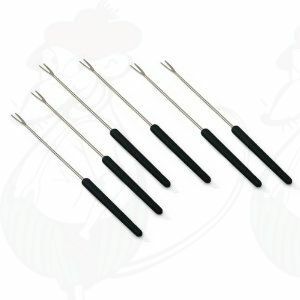 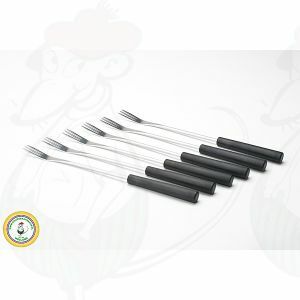 This set of 6 27 cm long fondue forks of Swissmar has black handles. This set of 6 27 cm long fondue forks of Swissmar has dark wooden handles..
Beautiful fondue forks in RVS with black borders. Fondue forks 4 stainless steel for cheese fondue. 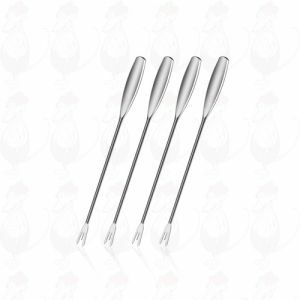 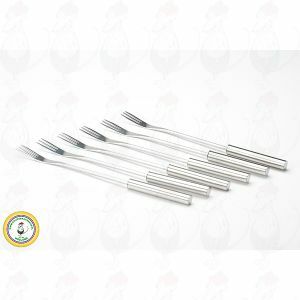 Cheese Fondue forks stainless steel set of 6.